The San Juan Mountains Association will be providing volunteers on Sunday, Saturday, Oct. 22, and Sunday, Oct. 23 aboard the Peanuts Great Pumpkin Patch Express!, a special train of the Durango & Silverton Narrow Gauge Railroad, and the association is seeking volunteers to help out. 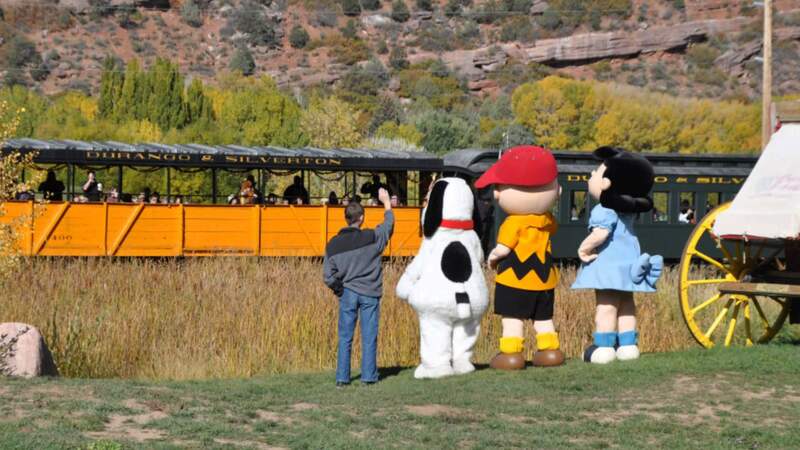 The San Juan Mountains Association has been asked to provide some educational activities aboard the Peanuts Great Pumpkin Patch Express!, a special train program of the Durango & Silverton Narrow Gauge Railroad. The SJMA will be there Sunday, Saturday, Oct. 22, and Sunday, Oct. 23, and it will need a few volunteers to help out. On Saturdays the group will be there from 9:45 a.m. to 3:15 p.m. and on Sundays from 9:45 a.m. to 1:30 p.m. Volunteers will help children create a nature scavenger hunt/field guide to take with them to use to explore nature. The location for the program will be 26650 U.S. Highway 550, which is just a little south of the glider park and where the D&SNG North Pole is located in winter. If you’re interested and available to help either of these days, or part of a day, contact Gabi (gabi@sjma.org) or MK (mk@sjma.org).